You only need two things to make a difference: a desire to help, and a decision to act. Share your interests and talents with the residents at Odyssey House. In the 2017/2018 year, we supported 438 women and 201 children at our emergency shelter. We facilitated 139 groups attended by 900 people. The number of people accessing our Community Support team has grown from 138 people to 320 people in one year, growth of 232%. Our trauma counselors provided 477 hours of therapy to 120 individuals. Our second stage shelter welcomed 35 women and 48 children. We delivered 334 presentations with a total of 3906 individuals in attendance. Our Family Resource Centre had 1889 visits to the program and provided a total of 3869 hours of programming to 571 children. We had 3,337 calls to the crisis line. 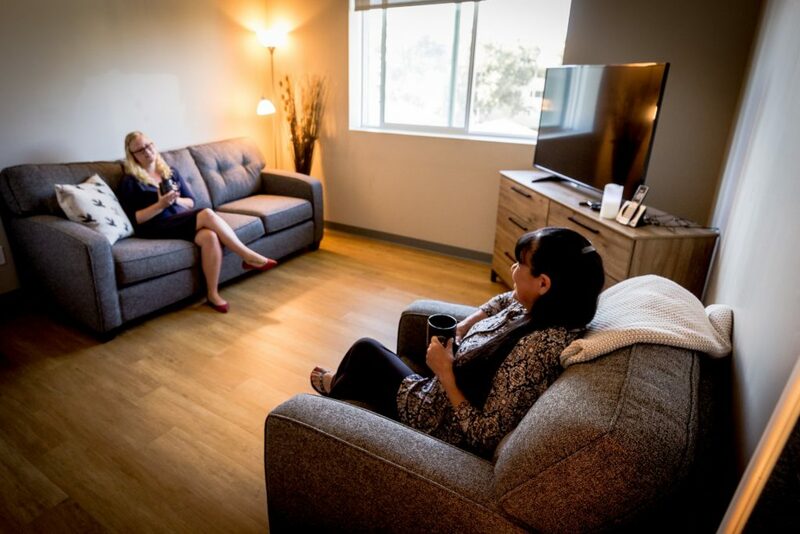 Serenity Place provides comfortable, affordable accommodations to help you get back on your feet. There are multiple ways you can donate to support Odyssey house, from online donations to Gift-In-Kind contributions and more. Volunteers support almost every program at Odyssey House, including Public Education, Child Care, Administration, and kitchen support. As a legal member, you can vote at our Annual General Meeting (AGM) and help guide our course over the years to come.